Microsoft has acquired the professional social network LinkedIn for a deal of $26.2 billion. This becomes one of the biggest mergers in tech lately and it gives the software giant a firm grip in the online professional world. In fact, this move is the largest that is done by Microsoft that acquired Nokia for a price of $7.6 billion in the year 2013 and $8.5 billion in the year 2011. Also, by acquiring Yammer in 2012, Microsoft entered the social media realm with the largest deal. Founded in 2002, LinkedIn grew into the largest professional social network possessing 105 million active monthly users and over 443 million accounts. The software giant announced the deal via a blog post on Monday. The company CEO, Satya Nadella, touted that the pairing is a way to enhance both companies as it integrates the content of LinkedIn and the network with the cloud computing as well as productivity tools of Microsoft. LinkedIn has been struggling a lot to remain as a standalone company. The shares of the declined by a whopping 43 percent in just one day in February after it issued unsatisfactory projections for the year ahead. As per the deal, LinkedIn is valued at $196 per share hinting that Microsoft has paid a 50 percent premium on the Friday’s share price of LinkedIn of about $131. 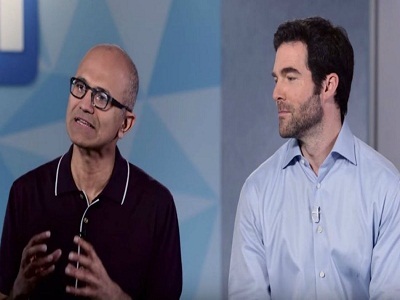 The CEO of LinkedIn, Jeff Weiner, stated that the combination of LinkedIn and Microsoft will become the premier business to business as well as a workplace company. He will remain atop the company, noted the press release. The shares of LinkedIn had allegedly skyrocketed after the breakout of the news. However, the shares of Microsoft dropped by 3.6 percent in the trading on Monday. Moody’s rating agency that grades corporate debt cited the fact that the software giant bought the professional social network completely with cash as opposed to using some Microsoft shares.